Using the adaptive cruise control on his Toyota Avalon left Rich Heidebrink feeling uneasy. “I was always nervous about getting popped from behind,” the Northwood, Ohio, man explained about the driver assistance technology that allows one vehicle to maintain a set distance behind another with the aid of sensors. Heidebrink, 63, said he would shut the cruise function off in traffic because he was concerned that another driver would cut in front of him and his car would brake too suddenly for someone following him. It’s an experience Heidebrink mentioned as he explained his impressions about self-driving, or autonomous, vehicles. Heidebrink, whose pride is a 1954 Chevy convertible, and his friend, Keith Fraker, 65, of Toledo, Ohio, were at the North American International Auto Show in Detroit this week and had just looked over a Cadillac CT6, which offers General Motors’ semi-autonomous Super Cruise feature. “It might be old school, but I enjoy driving,” Fraker noted. Self-driving cars, it turns out, are neither man’s speed. It was the kind of response the Free Press received from numerous people at the Detroit auto show. It’s a wariness informed by reports such as the fatal 2016 crash in Florida of a Tesla Model S in Autopilot mode — several people mentioned that incident — and of users’ personal experiences with technology and their continued affection for being in control of their ride. “At home, how many times does your computer crash?” asked Joe Wisniewski, 69, of Fenton. Wisniewski said he is “not interested at all” in driverless cars, and he dismissed the possibility that the vehicles would be in wide use any time soon. Wisniewski’s wife, Paula, might be more willing than her husband to give one a try, but not right away. She’d prefer to let automakers get the bugs out first. However, she suggested that driverless cars would probably be safer than drunken drivers. As automakers push aggressive time frames for introducing driverless vehicles, the outreach needed to convince the public that the technology represents a positive development appears still to be wanting. Numerous surveys, such as the J.D. 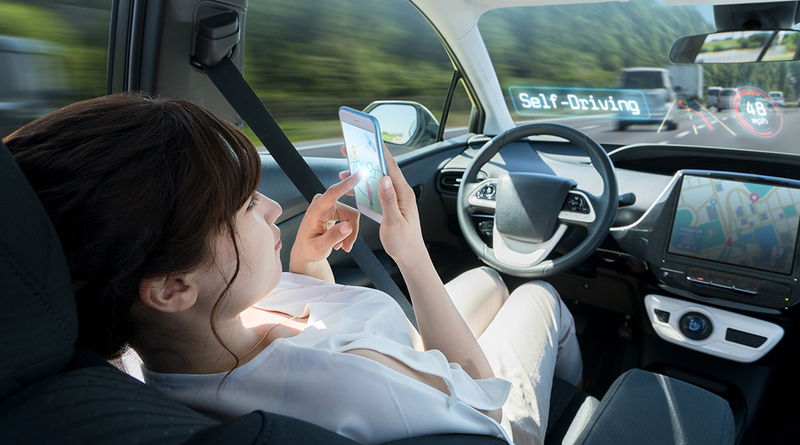 Power 2017 U.S. Tech Choice Study, which showed an increased wariness of self-driving cars, have reflected a disconnect between industry enthusiasm and the public’s attitudes toward a driverless future. Self-driving car boosters often promote the technology as a way to cut down on the nearly 40,000 highway fatalities every year in the U.S., and it’s possible that message is starting to get through. A AAA survey released this week found that although 63% of U.S. drivers said they would feel afraid to ride in a self-driving vehicle, the percentage is down from 78% last year. Still, reactions to the technology often run to the negative. Earlier this month, Advocates for Highway and Auto Safety released the results of a survey the group had commissioned that found 64% of respondents were concerned about sharing the road with driverless cars, an attitude shared across the country. The unease continued with questions regarding safety exemptions for driverless cars and allowing them to operate without equipment that would let a human take control. Those concerns come — as the Free Press recently reported — as General Motors has asked for an OK to test its latest autonomous Chevrolet Bolts without steering wheels, accelerators or brake pedals. The advocacy group said its survey should be a wake-up call to Congress as it considers self-driving vehicle regulations. The group said the survey shows the public supports government oversight of driverless car testing. Part of the concern for groups such as Advocates for Highway and Auto Safety is a belief that mistakes from rushing the technology to market and high-profile incidents, such as the 2016 Tesla crash, will hinder acceptance of what those groups consider to be a potentially life-saving technology. As a highlight of that phenomenon, another Tesla crash just this week was generating headlines. A Model S that might have been operating in Autopilot mode crashed into a parked firetruck in California. No injuries were reported. Attitudes about driverless cars are clearly not all negative. At a breakfast luncheon for women professionals last week at the Renaissance Center, the majority of those in attendance during a panel discussion about technology raised their hands to signal they were excited about the prospect of driverless cars. Philip Le, 48, of Washington Township does not share that enthusiasm. Le, who was walking past a display for a self-driving Ford Fusion hybrid at the auto show, was not convinced such vehicles will make driving safer, in part, he said, because humans react faster than machines when it comes to driving. “For me, I think it’s just dangerous,” Le said. That Fusion, according to staff answering questions about the display, was used by Ford to test reactions to having a self-driving car deliver Domino’s Pizza last year in Ann Arbor. Monique Dotson, 53, of Westland looked at the display and described it as the future. But she is not completely sold on the idea. The potential use of driverless cars on public roads raises many questions, such as how they react in ice snow, and creates a “heightened level of anxiety,” she said, before noting her unease at the prospect of riding in one. “It’s almost like you sit in there with a blindfold on because you don’t know what’s going to happen,” Dotson said. Dotson’s 14-year-old son, Trevor, is less concerned about the potential for problems, and assumes the technology will be perfected in six or seven years. He’s excited about the prospect of driverless cars, but he’s more focused on something that he expects to begin later this year — the process of getting his driver’s license. Back at the Cadillac display, Joi Sessor, 50, of Detroit weighed her feelings about driverless cars and decided she prefers to do her own driving. She said she worries about cybersecurity and the potential for hackers to cause problems. She recalled the notorious 2015 hacking of a Jeep Cherokee that left the vehicle crawling along a highway in the St. Louis area as traffic zoomed by.